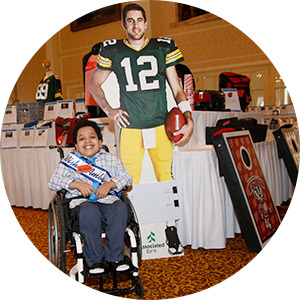 For 35 years, Make-A-Wish® Wisconsin has been working with our community to transform the lives of children battling critical illnesses through the power of a wish come true. Futures Inspired will highlight the significant impact people like you make in the lives of these kids, whether it’s a wish that was granted 30 years ago or a wish that is yet to be granted. 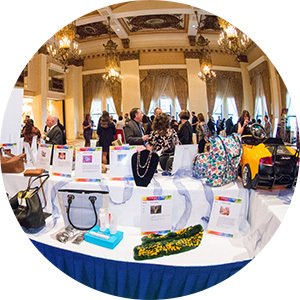 All of this year’s Silent Auction bidding will be conducted through the GiveSmart service, accessed with your own smartphone or through text messaging. A physical listing of all Auction items will also be available at Registration. GiveSmart support staff (in purple shirts) will be on hand to ensure a pleasant bidding experience. A charging station will be available to all guests in the main lobby. GiveSmart support staff will also be on hand with mobile devices to assist in your bidding, regardless of a low battery. What's more exciting than bidding on a live auction item? WINNING one! Check out this year's lineup and prepare to win! 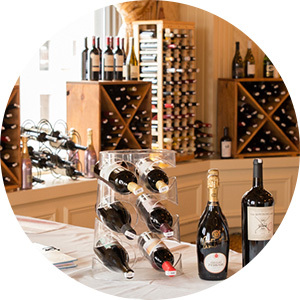 Purchase a numbered wine cork for $25 and win a bottle of red wine, white wine or champagne valued between $20 and $450! 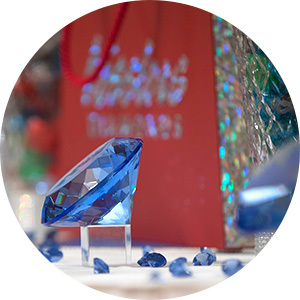 Purchase a light-up ring for $25 for a chance to win a $1,000, $2,000 or $3,000 Splurge Card from sponsor Kesslers Diamonds! Support the Make-A-Wish mission today by giving directly to support the wish of a child with a life-threatening medical condition! Nan Gardetto is founder and president of The EveryDayGood Foundation founded upon the sale of her snack food company, Baptista’s Bakery to Snyder’s Lance in 2014. Prior to that she spent 25 years with her family’s business, Gardetto’s Bakery, which was sold to General Mills in 1999. Her foundation’s mission is to “help people live their healthiest, highest quality of life”; and that mission is brought to life by partnering with various non-profit organizations in our city aligned with that mission. Nan currently serves on the board of directors for the Boys and Girls Club and the Aurora Healthcare Community Board. Richard Slater, a life-long Milwaukee native and visual designer, worked over 30 years with the leading music publisher, Hal Leonard. After recently retiring his Vice President Creative Services position, he is now founder of SL8R CRE8TIV, a graphic design and marketing firm in Mequon, Wisconsin. Richard’s son Sam was a wish recipient in 2015. Through that remarkable gift, Nan, Richard and their family experienced first-hand the power of a wish. Linda Pauling is known as the Mother of Make-A-Wish®. Her only son, Chris Greicius, was diagnosed with leukemia at the age of 7. Linda vowed to make Chris the happiest child he could be, knowing he didn’t have much time left to live. Shortly after his diagnosis, Chris and Linda met U.S. Customs agent Tommy Austin. Chris had always dreamed of becoming a police officer, so he and Tommy had an instant connection. Tommy was so inspired by Chris’ passion that he promised Linda that when the time was right, he would give Chris a special day as a police officer. As Chris’ health declined, Linda called Tommy and said, “If there’s any way possible to make that promise come true, now is the time.” Tommy had already shared Chris’ story with his colleagues, and they were all so moved that they wanted to do whatever they could to help grant Chris’ wish to be a police officer. On April 29, 1980, they gave him a ride in a police helicopter and swore Chris in as Arizona’s one and only honorary DPS officer. Sadly, Chris passed away four days later. After Chris’ memorial service, some of the officers who assisted in Chris’ wish reached out to Linda and discussed the idea of granting other children’s wishes. Having witnessed Chris’ confidence, joy and hope on the day his wish was granted, Linda knew there were other children with critical illnesses out there who deserved a similar transformation. This conversation marked the beginning of Make-A-Wish. 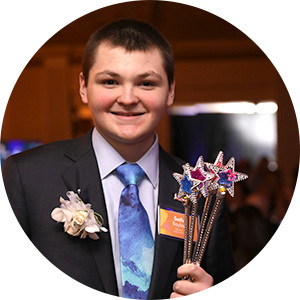 At Wish Night, you will hear their unforgettable stories, and learn how each wish continues to provide hope, strength and joy to them in unique and unexpected ways! Look for these wish kids throughout the evening and ask them to share the impact of their wish.